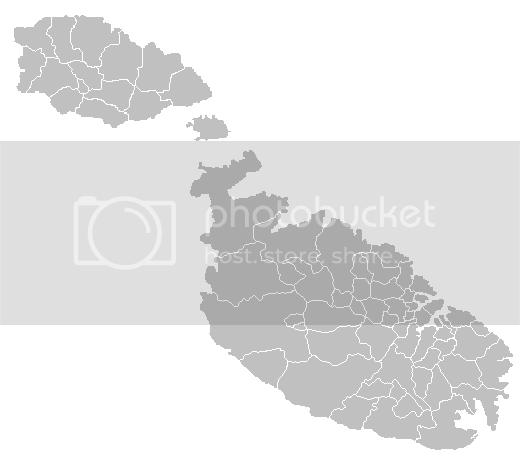 Here's a thread in English where we can speak about things related to Malta, but in English. Here you can also post your comments to the Maltese EBT-Community in English. Last edited by doctorwho on Mon Jan 14, 2008 8:58 pm, edited 1 time in total. It's nice to see a Maltese section of the forum.....although I don't speak I single word of Maltese. My stats are generated with NIG (a program created by Finnish user Bobtail). From the downloadable csv (notes and hits) from EBT this program generates stats. It's quite easy to add a new country - but unfortinatly the postal code system of Malta is a bit complicated. The program isn't able to recognize postalcodes starting with ATD, BZN, BGR and so on. If somebody has a list of all villages and town in a Local Council, it might be possible to write a file to calculate the number of Local Councils that has been visited. Well, might be a bit to much info at such an early stage of the euro-era of Malta. Could be interesting to see the diffusion of the euro bills there in Malta (and also in Cyprus)! yli wrote: My stats are generated with NIG (a program created by Finnish user Bobtail). From the downloadable csv (notes and hits) from EBT this program generates stats. It's quite easy to add a new country - but unfortinatly the postal code system of Malta is a bit complicated. The program isn't able to recognize postalcodes starting with ATD, BZN, BGR and so on. If somebody has a list of all villages and town in a Local Council, it might be possible to write a file to calculate the number of Local Councils that has been visited. thanks! Also to make it worse we have a new system of postcodes lately.. I'm using the new one usually. Welcome to EBT Maltese friends.